Due to our strict packaging guidelines, we ensure that the packaging is done using quality packaging material. We have an advanced packaging system and we use only high quality materials for ensuring complete safety during warehousing and transportation. Our team of quality experts strictly checks the entire range against varied parameters to make sure that they adhere to global quality standards. 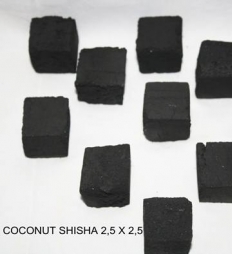 We offer Coconut Shisha Cubes in various packaging like 18pcs, 25pcs, 50pcs etc.